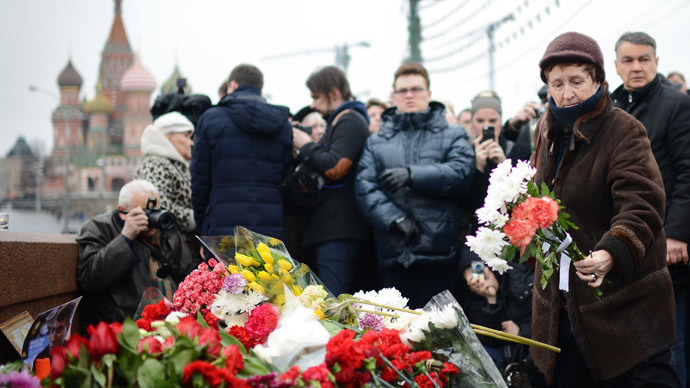 Russia's foreign minister said that the murder culprits will not be able to escape justice. 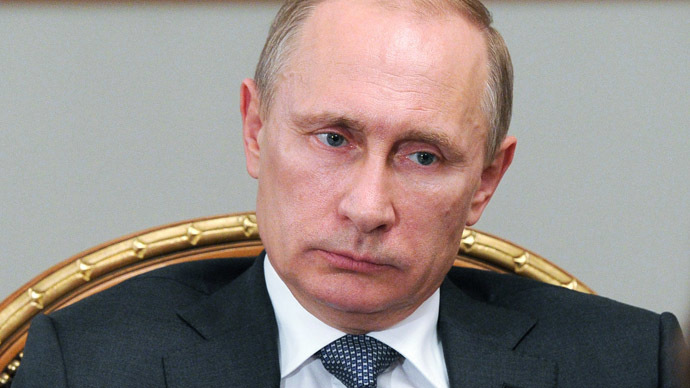 “President Putin made all necessary orders immediately, and they will be very closely monitored,” Lavrov said. 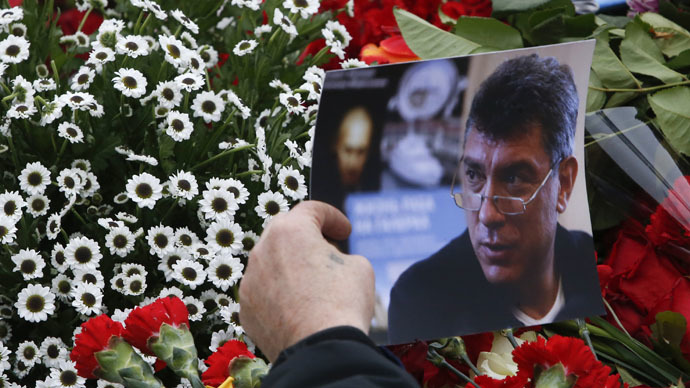 The investigation into opposition leader Boris Nemtsov’s murder comes amid various unverified media reports, as officials warn against speculating before the facts in the case are established. 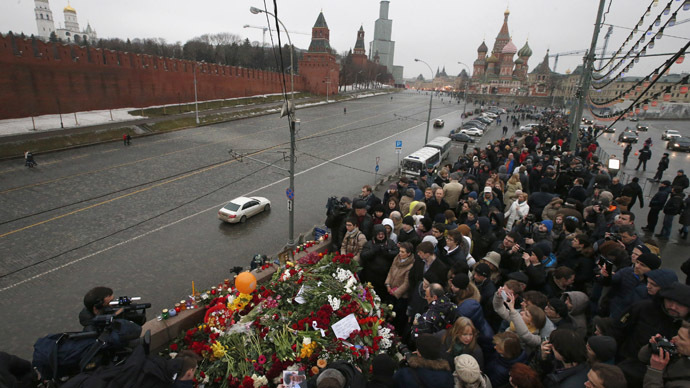 Federal Security Service CCTV cameras located nearby did not register the moment that Nemtsov was killed. Its representative said that all their cameras were turned to the Kremlin and did not cover the bridge area. Moscow’s Information Technologies Department said that city cameras were functioning properly and the footage has been already given to investigators. Authorities gave no details on how many cameras registered the murder. On Monday morning, Russian daily Kommersant reported that some of the CCTV cameras installed on the bridge had not been working on the night of the murder as maintenance work was being carried out, while footage from other cameras was not clear enough to see what happened. 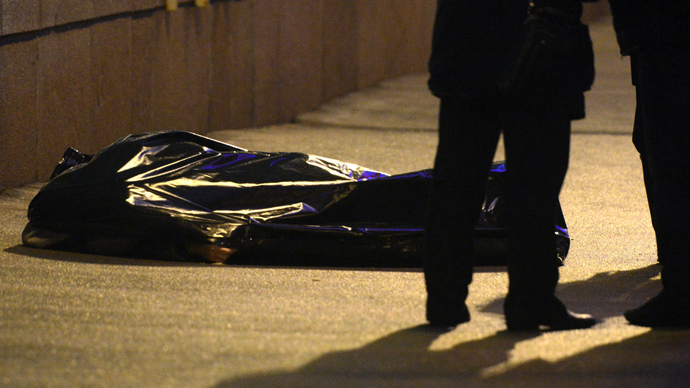 The main witness to the murder, Anna Duritskaya, a 23-year-old Ukrainian woman who was walking with Boris Nemtsov at the time of the shooting, said she did not witness anything suspicious as they were walking from a cafe in the GUM department store to the Moskvoretsky Bridge. “Nothing suspicious happened,” Duritskaya told Dozhd TV channel on Monday. Duritskaya said she didn’t see the killer’s face, and she didn't recognize the make of the car used by the culprits. “I didn’t see anything. When I turned around I could only see a light-colored car driving off,” Duritskaya told Dozhd. Duritskaya, who was not injured in the attack, recalled that the killer approached them from behind. After the shooting, she first asked for help from a driver of a snow-clearing vehicle that stopped nearby, but had to call the police herself. A police patrol arrived after 10 minutes. Duritskaya said she did not remember what happened in the time before the police arrived. Later, police took her away from the scene of the crime. The investigators have stipulated that Duritskaya should not leave Moscow for security reasons, as her life could be in danger, though she has expressed a wish to return to Kiev. She said Nemtsov had not received any threats recently. Neither personal enmity nor jealousy could be behind for the murder, Duritskaya said. “I do not believe this could be true,” she told Dozhd, commenting on one of the theories about the murder. Suggestions as to what the motives for the killing might be vary markedly. Vladimir Markin, spokesman for the Investigative Committee, told journalists on Saturday that there are at least five possible motives behind the high-profile assassination, including political provocation, threats over Nemtsov’s position on the shooting of Charlie Hebdo staff in Paris, the Ukrainian civil war, Nemtsov's business interests and something related to his personal life. 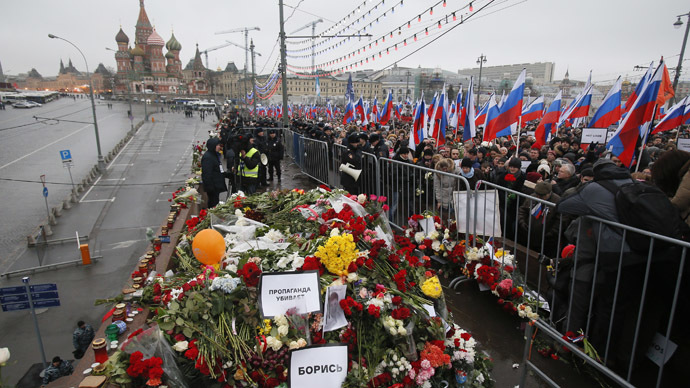 The murder could be a “provocation to destabilize the political situation in the country,” said Markin, while Nemtsov could have been chosen as a sort of “sacral victim” by some forces determined to attain their political goals. 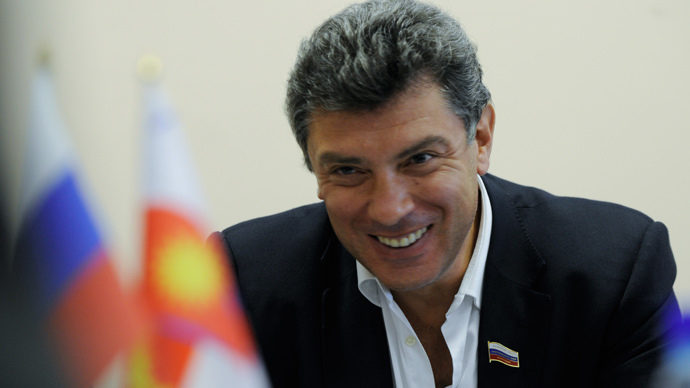 Preliminary analysis shows that Nemtsov was shot with a 9mm Makarov pistol. 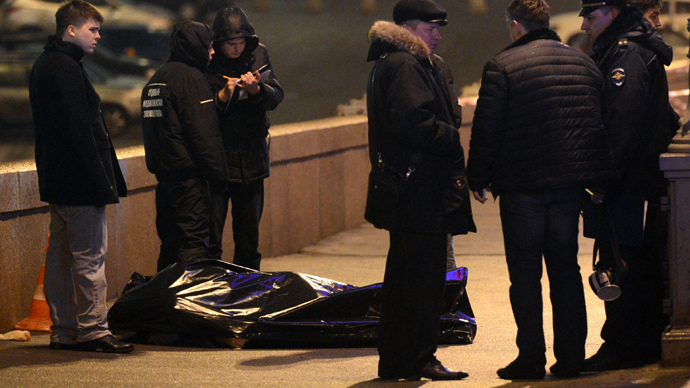 Police say six shots were fired, and four of them hit Nemtsov. One bullet hit his heart and this wound became fatal.